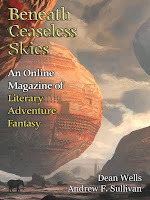 "Salt Circles," by Andrew F. Sullivan [bio] (edited by Scott H. Andrews), appeared in Beneath Ceaseless Skies issue 193, published on February 13, 2016. Pro: The imagery is vivid and the dialogue is good. This isn't a simple good vs. evil story; there's plenty of evil to go around. Con: There's no real story here. Dennis isn't trying to do anything in particular other than just get by. He's a passive observer, for the most part, but no one else seems to have much of a plan either. Nor is he making some spiritual journey, despite the first paragraph which seems to imply that he's seeking some answer. The last paragraph reprises it, but not with any obvious answers I could see. 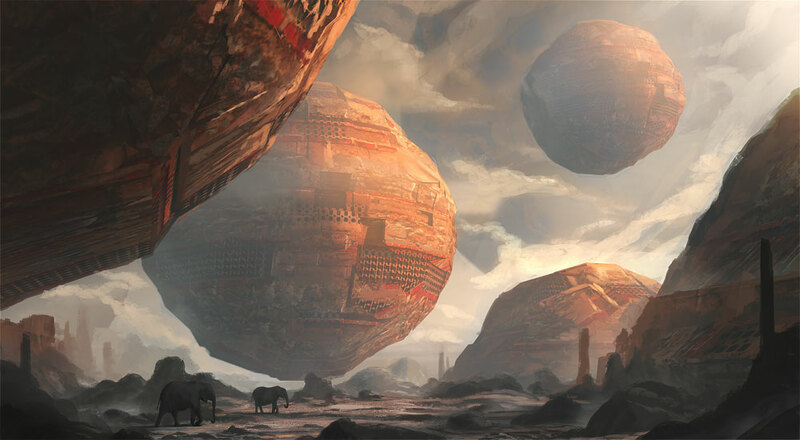 I considered the possibility that the entire thing is an allegory for how people who try to keep the world from changing end up destroying good things just because they're new and end up corrupting themselves into the bargain. Maybe that's the idea here, but it's really just shooting in the dark. I found this one too horrific and violent. It does seem to be allegorical, but the point was lost on me. I've occasionally wondered whether I ought to add warnings for unusually violent stories. Or unusually gross ones. "Warning: do not read this during dinner!"